The initial rounds for the various junior events took place at the Westgate school on Thursday 9th & Friday 10th March. Competitors battled through a group stage to qualify for the knockout stages with a view to securing a place in the finals. There was fierce competition at all levels with many matches running to 5 games. 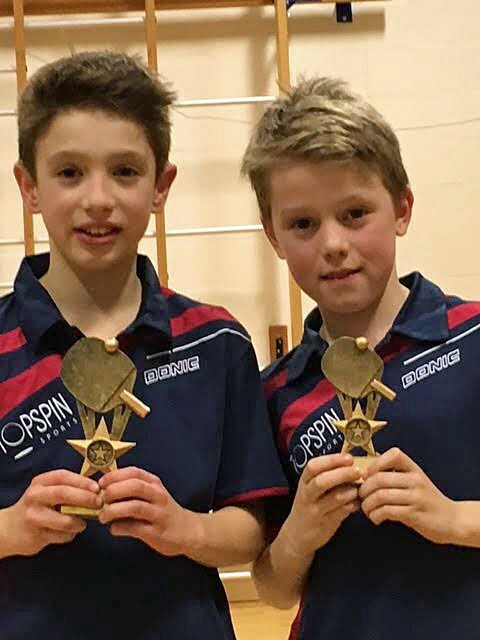 The primary school competition final was played on the Thursday between Jack Birch & Ben Foster with Ben Foster taking the title. South Wonston is a table tennis club affiliated to Table Tennis England.